A few days ago, we wrote about Sony’s Open Device Program. The interview that followed after the talk focused on the realization that the devices that we possess are much more powerful than what we normally give them credit for. Phones launched 3 to 4 years down the line are still powerful enough to be repurposed for other functionality, and their components can do things unrelated to smartphones. Even if a 2 year old device remains fully functional, we often tend to look for an upgrade simply because we crave something better. But there’s also a factor that we often overlook, which is that of planned obsolescence. These days, manufacturers and other stakeholders create phones which have a shorter working life cycle than what the hardware is actually capable of. In the USA, the assumed life cycle of a device is 2 years, a figure which perhaps evolved from the two-year contract system which carriers use to lock in millions of customers into a purchasing habit. Devices do not suddenly become unusable after 2 years, but most are replaced nonetheless, for a “better” device, under the illusion of a cheaper phone through contract subsidies. This “2-year” figure has made its way on to the rest of the world, and is now considered a ballpark figure when talking about device life. Even Google promises atleast 2 years of software updates (and 3 years of security updates) for its new Nexus devices. But are devices really only good for 2 years? Or is this figure of 2 years a tactic by corporates to force “planned obsolescence” down onto otherwise perfectly fine devices? How long can one actually use their device with full functionality? We take a look on this perspective with on of the many mid-tier devices that is past its intended functional years, the Samsung Galaxy Grand (Duos). 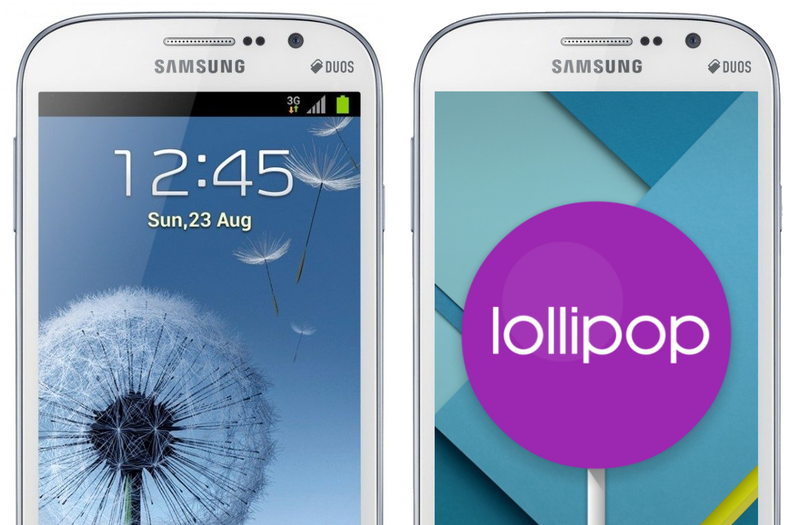 Released back in December 2012, the Galaxy Grand Duos built up on the design language of the Galaxy S3 (which was released in May 2012). Featuring a bigger screen and a larger body from the S3, the Grand Duos was the first of what would eventually become a staple mid-ranger in Samsung’s device portfolio. Samsung tried to imprint an image of a large-screened device with dual sim functionality and a lot of carry-over Touchwiz “features” – or bloat, as many like to call it – from Samsung’s top smartphones onto a mid-range package. 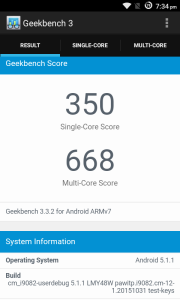 The device featured a Broadcom BCM 28155 SoC with two Cortex A9 cores clocked at 1.2 GHz, 1GB of RAM (804 MB actual) and 8GB of internal storage. One can still find similarly specced devices in the low price point, so the specs still hold a bit of relevance in this age of octa cores and 4GB of RAM. 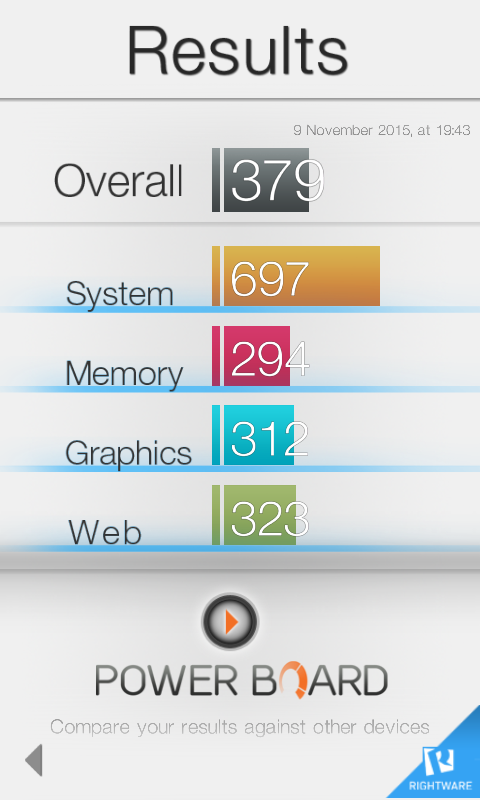 The Galaxy Grand Duos built up on the Galaxy S3 design language. However, the functionality of this device is a prime example of planned obsolescence. 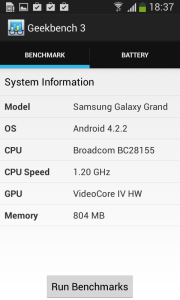 The device was launched with Android 4.1.2 and was updated to Android 4.2.2, after which, it simply received no more love from Samsung. In typical fashion, Samsung continued to push forth successors upon successors in rather quick succession within the Grand lineup, with variants like Galaxy Grand Neo, Grand Neo Plus, Grand Prime, Grand 2; ensuring that none of the devices had the market solely to themselves (unlike the flagships) in order to gain a good level of popularity within its target price segment. 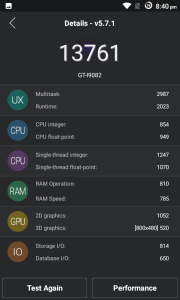 To get the Galaxy Grand experience almost 3 years down the line, I borrowed the device from a relative and attempted to use the phone as a daily driver for a few days. After data wiping, my attempts at smoothly using Touchwiz on Android 4.2.2 were limited only till the completion of the setup process. Once the phone setup was completed, I was greeted with one of the reasons that drove me away from Samsung’s OS in the first place: the unusual amount of bloat. For every Google App that existed on the device, there was bound to be a Samsung counterpart, running invincibly in the background. A few minutes into using the device, the sluggishness of Touchwiz started showing its ugly face, with janky scrolling and very long cold boot times for apps. Getting more than two apps running on in the background was a feat that I could not claim to have achieved in my hours of usage. After restoring my usual setup, consisting of Hangouts, Gmail, Slack, Whatsapp and a few other passive apps, the phone became a nightmare to use. Even simple actions like opening the keyboard for an IM, or attempting to use the browser link from an app took too long to initiate and complete. Steps and clicks started taking upwards of 8 seconds per action to complete, at which point I as a user was frustrated enough to do a battery pull and start all over again, only to regret the decision because boot times were also so painstakingly long. 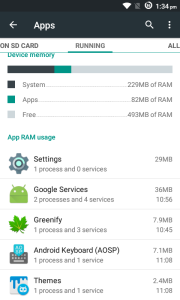 Very very surprisingly, RAM usage under these laggy circumstances painted a picture of everything being alright as more than half the system RAM was lying free and ready to be used for any apps that needed it. 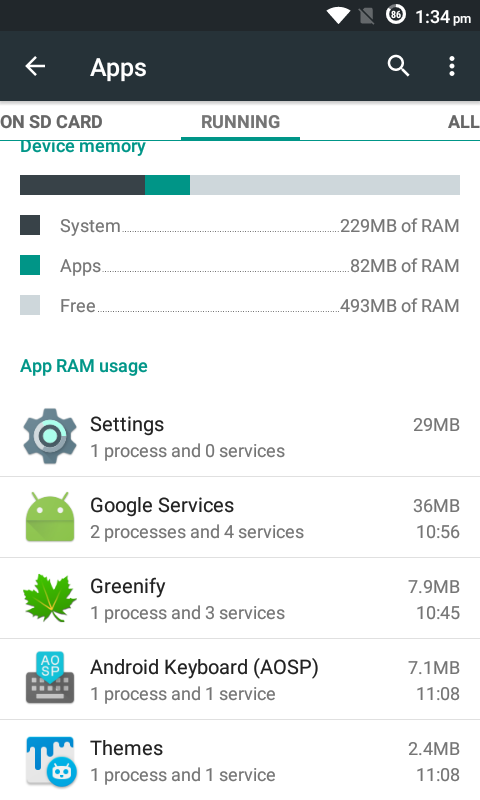 On the other hand, apps desperately needed that RAM, but could not use it. This could be a bug that I stumbled upon, but frankly, at this point of the product life cycle, no OEM would care. What’s the point of multi-window with such large resources? The phone in its Touchwiz form did have a few redeeming qualities. For one, the Multi Window implementation certainly feels handy on a larger screen. But Samsung’s insistence on keeping the screen density at 240 unnecessarily inflates all image and other drawable assets in apps, effectively rendering a mid-sized screen experience despite the decently sized display. Coming from a speed-oriented setup on the OnePlus One, the difference in performance was very noticeable to me to the extent that it hindered my usage of the phone, along with my productivity and day-cycle. It was only understandable that any other consumer would get frustrated with the performance of the device, and since 3 years had passed from the release of the device (and most likely, 2 years had passed from the date of purchase), they wouldn’t blame the device itself but its age, not knowing the true potential of the hardware in their hands. The software would take the blame, as it would be classed as being on an old and slow version of Android (which would be true to an extent). However, most of the blame should rightfully fall on the OEM’s and their apathy to rightfully update the devices for its promised life. Touchwiz being Touchwiz, it ages very poorly, becoming the prime reason for sluggishness and the difficulty in use of this particular device. 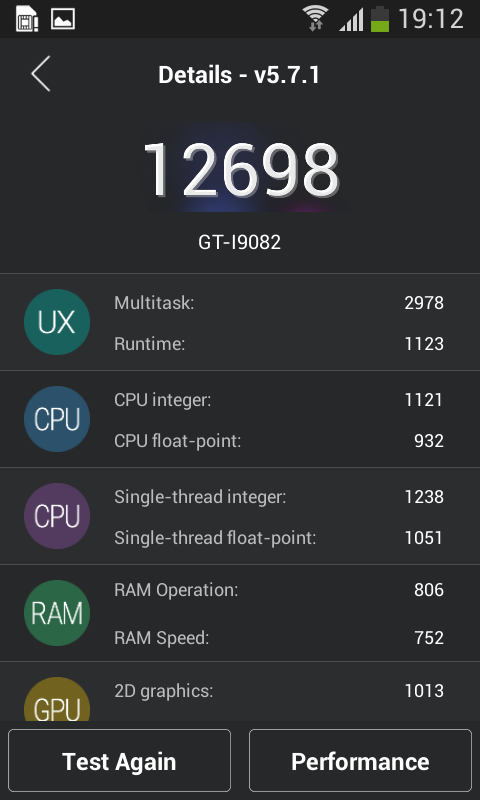 To validate the point that the hardware is decently capable despite its age and it is the software that is to be blamed, I installed CM12.1 on the Galaxy Grand Duos. 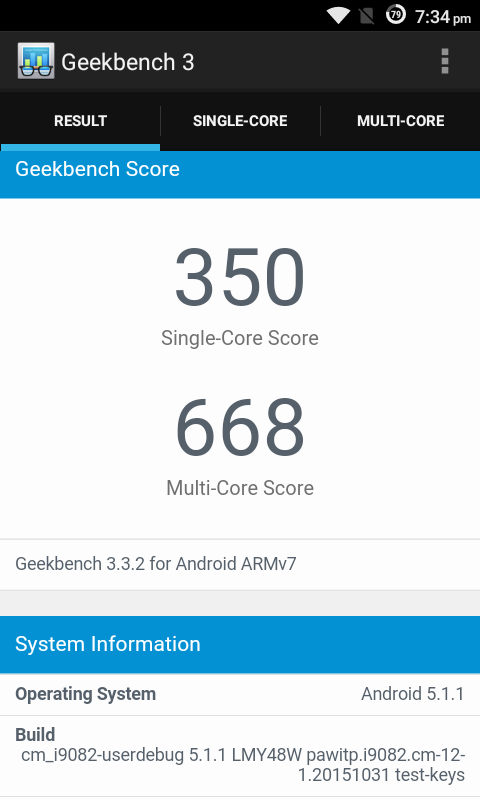 Being a Broadcom SoC instead of Exynos, development for this device was healthy enough to land us a stable build of Android 5.1 Lollipop, with even an experimental AOSP 6.0 build available. The procedure to install the ROM is fairly straightforward: install a recovery via Odin, and flash a ROM. I did get stuck on installing the recovery as the stock Samsung recovery would refuse to let the custom recovery boot. This did take a bit of Google-fu to solve, and as such, would be frustrating for a normal member. Only one solution for such Touchwiz: Custom ROMs to the rescue! 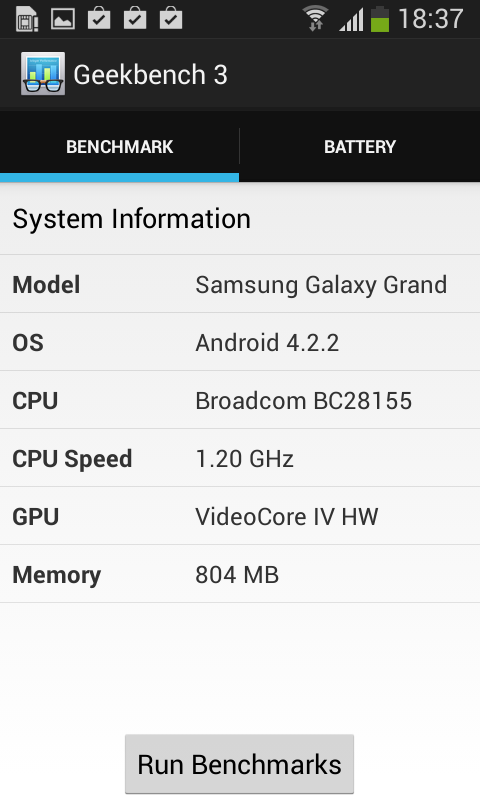 Once set up and on the ROM, the experience was in contrast to the one on Touchwiz on Android 4.2.2. 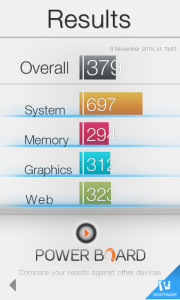 App cold boot times were lower by a second or three at least, with stutters and lag gone down to a noticeable extent. 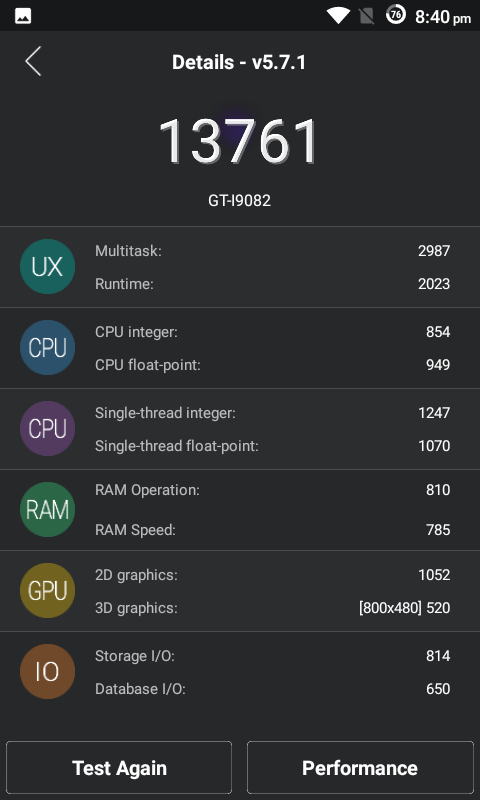 Memory handling improved, and so did multitasking. Don’t get me wrong, the phone did not magically become a flagship killer of 2016 by simply swapping out the software. 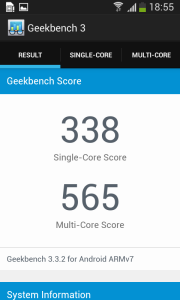 However, the difference in performance was present to the extent that it would be difficult to believe it was the same hardware working under the hood. Benchmarks seemed to agree with this, albeit they do not paint the full picture on the perceived performance and the fluidity of the user experience. 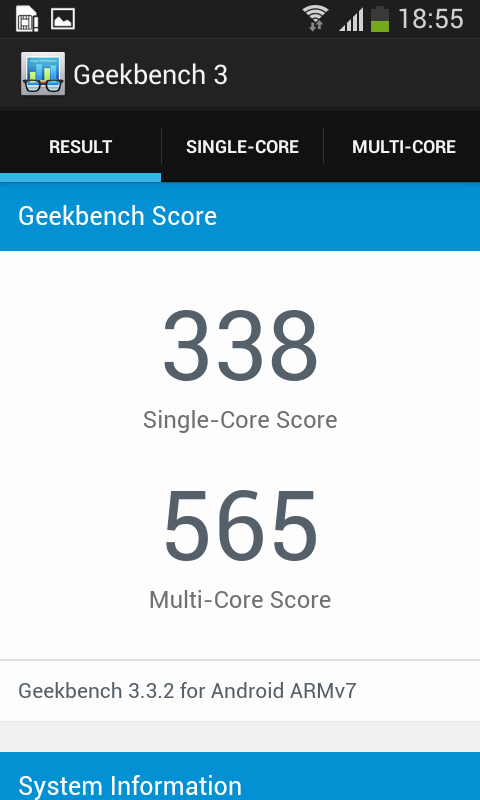 Geekbench gave a score of 338/565 for single/multi-core performance on Touchwiz based on Android 4.2.2, while on CM12.1, the scores went up to 350/668. 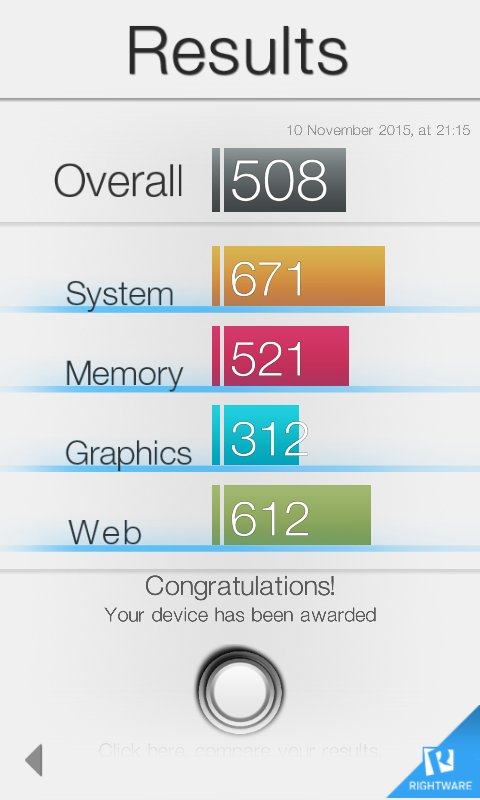 Antutu performance was 12698 (overall score) on Touchwiz and 13761 on CM12.1. Basemark OS 2 saw an almost double jump in memory and web performance, albeit system slightly got lower performance. Again, benchmarks do not paint the full picture as the difference in user experience was much more than what these abstract numbers denote. The ROM was indeed quite stable as I did not face any random reboots or situations which required a battery pull/forced reboot. On top of actually being able to use the phone thanks to the custom ROM, the device was also made relevant for a lot of new features that newer versions of Android brought. This includes support for new languages, notification access for apps, immersive mode, Google Now, support for BLE devices, cloud print, device casting, Heads up notifications, Material Design (! )…the list is long and well worth the plunge. 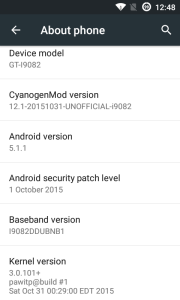 As a bonus, the device is also safer from a lot of security issues such as Stagefright, as frequently updated CyanogenMod builds tend to contain the latest in security patches. We touched upon previously on how custom ROMs and other unofficial modifications made Lollipop a much more bearable experience. In this case, custom ROMs ended the agony of a harrowed consumer. They breathed in some more life into what would have been the end of good days for otherwise capable hardware. The phone is in good enough condition to support the needs of its actual consumer (not me) for a few more months. Granted, sooner or later, the product will be obsolete. But planned obsoletion, in this case, forces the customer to look for a new device earlier than the end of the products real life cycle when in fact they would have been happy with a working device. Not everyone actually needs to have the latest and greatest in hardware as we are past many of the peak points and currently on the plateau of hardware progression. Hardware released a year ago still fits well into current use case scenarios, and there’s no real need for the masses to replace it if it still works. And to think that software created by hobbyists and enthusiasts outperforming the work of those that were paid to create that experience is a repeated accident would be foolish. The designers know, think and plan ahead for obsoletion, and such repeated downgrades in performance after a few years seems like a conscious decision to increase the sale of the newest smartphone in the market. All in all, planned obsoletion is one of the reasons why XDA exists. We know that the device can do so much more, and we bring together people that constantly seek to push the artificial boundaries set by parent corporates. 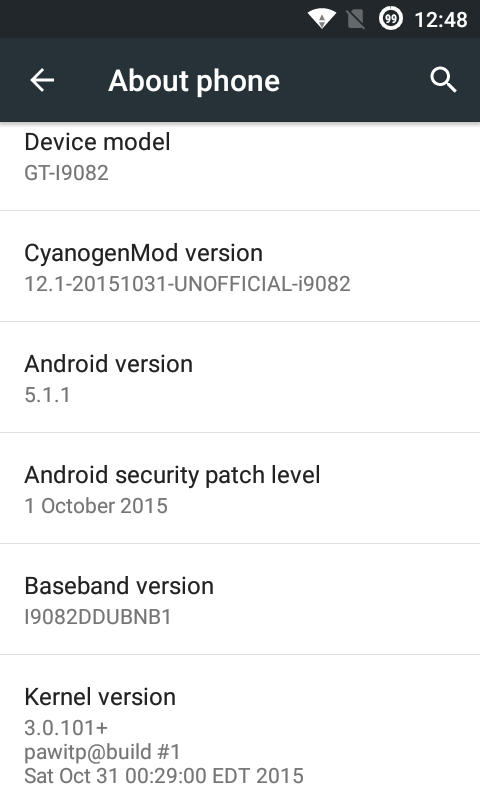 This is why the Grand Duos even has a Marshmallow ROM available for testing. Works from the community like mods, tools, ROMs and kernels help you to continue loving your device past the honeymoon stage. These works are not everyone’s cup of tea, but for those who can, this offers a way to maximize the value and service received from the product. Not everyone needs to buy a flagship every two years. And thanks to communities like XDA, they don’t have to. Do you still use an “older” device? What reasons are holding you back from upgrading? Do you use custom ROMs to make your phone usable? Let us know in the comments below!